With graduation so near, one of my students yesterday was asking about various career possibilities when she brought up the idea of photography. I gave her some general pointers about how to develop a career plan, but also informed her that due to the weak economy and the increasing availability of good cameras and editing equipment, the photography market is somewhat down in our area. She then asked, what about selling photographs, "what's the most a photograph has ever sold for?" That I did not know, so I looked it up and was surprised by the answer I found. 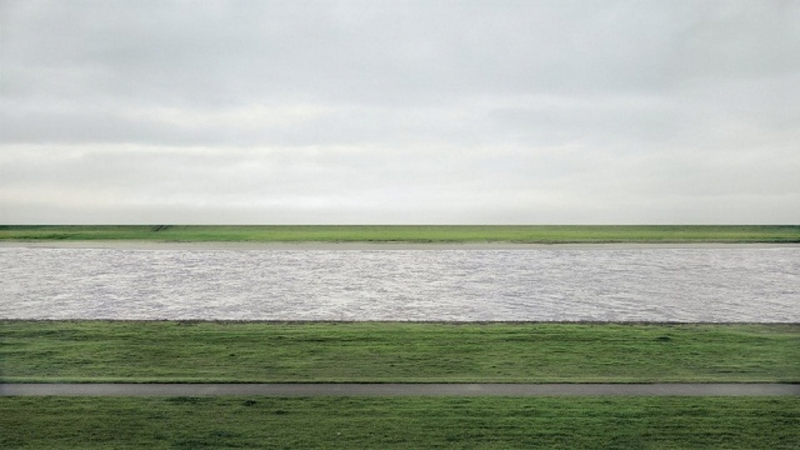 The most expensive photograph ever sold at auction was one titled Rhein II by Andreas Gursky. Not only was I surprised by how much the photograph fetched, but I was surprised by how bland the image was. Obviously it is a photo of the Rhine River in Germany, but there are a few more surprising things about the picture. Gursky photoshopped it to remove the industrial skyline from the background and a dog walker in the foreground. So, what was the selling price of this photograph? On November 8, 2011, it sold for $4,300,000! 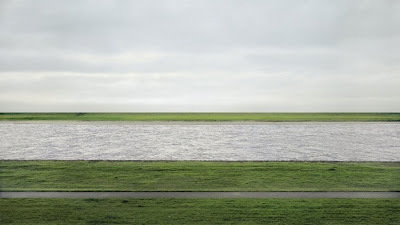 Not only that, but I was surprised to see that six of the top eight priciest photographs sold since the recession began. You can see the Wikipedia list HERE. OK, $4,300,000.00 for that photo. I guess it is in the eye of a couple beholders. I guess you just need two people that have more money than brains want the same thing and think they can't live without it. Perhaps his mother bought it to make him feel good. I would love to know from the buyer what he/she saw in this picture to motivate spending so much. Wow. Number 3 on that list was sold just 2 weeks ago. I remember googling number 1 wondering what was so special about it. OK, its's the Rhine, how fascinating. Like I've never seen a river before. Maybe you have to see it in a gallery to be able to appreciate it (it's more than 3 meter wide).